Wilderness survival instructors teach at the many wilderness schools and programs across the country. Knowledgeable trained teachers create unforgettable outdoor experiences for others. If you love the outdoors & working with people, and are ready to start on a new career path that is both personally and professionally rewarding, you owe it to yourself to consider wilderness survival instructor training. The Alderleaf Wilderness Certification Program provides the hands-on training, practical experience and support to pursue a rewarding wilderness skills career. This program is ideal for students interested in getting into the field in the shortest time possible. Graduates of this program are prepared for entry-level positions as wilderness instructors teaching youth programs and basic adult classes in front-country locations. Can be completed in one school year (9.5 months). The advanced program is designed for graduates of AWCP interested in pursuing additional training and certifications. Graduates of this program are prepared for teaching more technical and longer-length courses including in backcountry locations. Earning these additional advanced credentials can mean higher earning potential and increased job opportunities. Can be completed in one additional school year (9.5 months). Get Individualized Help – We're Here for You! Most Alderleaf students are in their 20's and 30’s or older. Most have tried other programs or career paths. They choose Alderleaf, and succeed, because we’re different - hands-on & experiential learning with passionate teachers and excited classmates. Students who choose Alderleaf are looking for a partner in their success who can help them network and connect with opportunities. We’re all for self reliance, however we never want you to feel like you’re left to fend for yourself. In addition to sharing classes with a community of like-minded peers, as an Alderleaf student you'll have access to continual advising, job leads, and alumni connections. 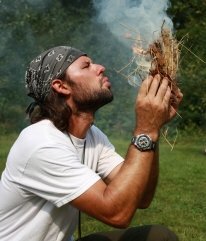 Is Wilderness Skills Instructing Right for You? If you’re interested in learning more about becoming a wilderness survival instructor, and exploring whether this is the right career path for you, fill out the form on this page and receive more information. Our admissions adviser will be happy to answer any questions you have and can help with everything from student housing to financial aid. 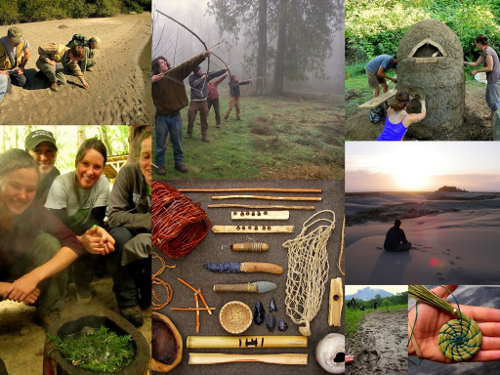 "Here you will be able to learn bushcraft, medicinal uses of plants, and sustainable living skills from experts in each field. I learned new edible plants I can find all over the country, how to obtain safe drinking water, maintain fires in wet weather and to handle medical emergencies that may happen in the back country. Alderleaf Wilderness College has done a lot for my career. After graduating I was offered an internship with the US Fish and Wildlife Service doing outdoor education, and accepted a position with Michigan Audubon. I want to thank the faculty at Alderleaf for going up and beyond to help students." Alderleaf Wilderness College is a recognized leader in the field of wilderness skills education, providing survival training to the WA Department of Ecology, Forest Service biologists, and consulting with the Discovery Channel.